As we've seen from Jean-Luc Formery's wonderful Build Story, the new Eduard Spitfire Mk. IX is a fantastic kit straight from the box. 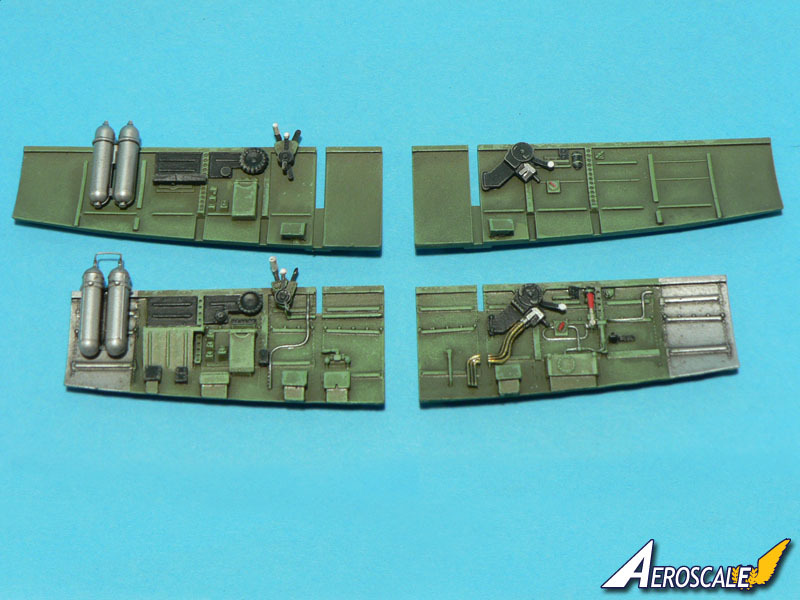 But the team at Eduard have never been ones to rest on their laurels, and released simultaneously with the "basic" kit are a plethora of upgrade sets - including a complete new Brassin cockpit. The casting is basically perfect in my set, with no signs of bubbles or other blemishes, and just the usual thinly flashed-over openings to clean up. Some of the casting blocks are pretty substantial, but this is a small price to pay for the simply eye-popping detail evident in places. Having got Eduard's Spitfire almost complete, I can vouch for the fact that their original styrene "office" is nothing to be sneered at, but the Brassin version is in a different league again - virtually a kit in its own right and, with the resin items surpassing their styrene counterparts at every turn. A number of the etched components are identical to the original kit items - which I guess is what you'd hope, after all - if they were accurate in the first place, why change them? One small change, though, is that the original seat harnesses were pre-coloured to represent partly leather straps, whereas the Brassin versions are a lighter colour and plain. In terms of what you get, construction begins with the instrument panel and a choice of either etched or resin versions, and a compass in an etched mount. A highly detailed fuselage bottom forms the "floor" of the new cockpit, and into this fit the front, middle and rear frames, plus the rudder pedals and a control column that has cast-on cabling. The only downside for me in how Eduard have designed their Spitfire cockpit is that moulding limitations mean the separate sidewalls result in an excessively thick sill to the pilot's access door. Being made to fit the kit without the need for modification, the new resin sidewalls repeat the repeat the problem, but they are beautifully detailed, and are dressed up still further with items such as the oxygen bottles and a multi-part throttle. The pilot's seat is a big improvement over the kit part, with a true-to-scale thinness, intricate mount and armour plate, plus an etched flare rack (not always fitted, so check your references where possible). Finally, there's a choice of gunsights with printed film reflectors, and a rear-view mirror for the canopy. With all this detail on display, it's nice to see Eduard include comprehensive colour notes in the A-5 instruction pamphlet. This is very clearly illustrated to the same standard as their Spitfire kit and is printed in colour to highlight areas to glue or modify. A handy parts map make it simple to check off all the items supplied, and construction is broken down into around twenty easily manageable stages, with Gunze Sangyo colour matches throughout. According to the instructions, the only modification needed to the standard kit will be to trim away the lamp mount in the belly to make way for the new resin floor but, as with any upgrade set, I'll be prepared for a little extra trimming here and there if need be. Included at the end of the photos are two shots, courtesy of Jean-Luc Formery, showing the Brassin sidewalls compared with their standard kit equivalents and his completed Brassin cockpit. 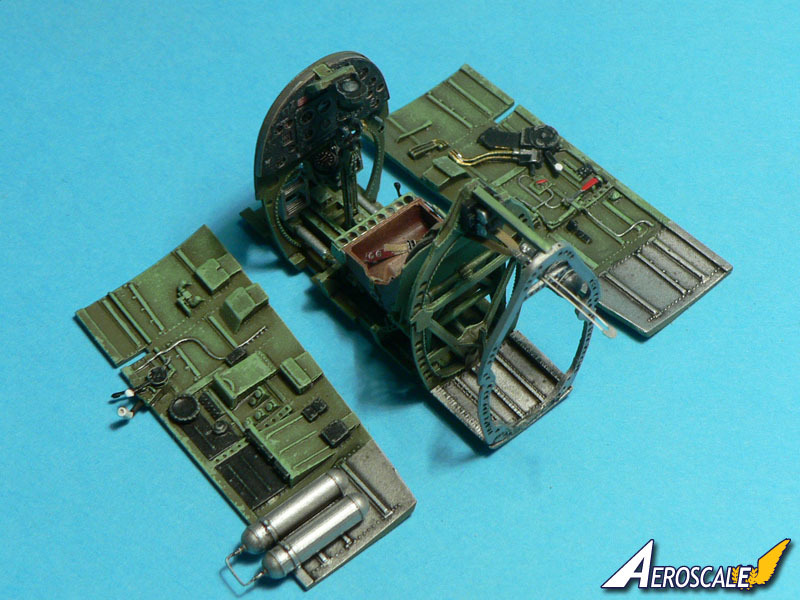 Eduard's Brassin Spitfire cockpit is excellent, and should look a real gem when installed and, while obviously not suitable for beginners, doesn't appear overly complex for anyone with some experience of working with resin and metal considering the level of detail offered. Highly recommended. Highs: Highly detailed, with beautifully cast and etched parts. Lows: The sidewall thickness problem at the access door remains. Verdict: This is the icing on the cake for an already superb kit - if you like superdetailed cockpits, this is a great addition to the standard Eduard Spitfire.